SK Photos: Langemarck German war Cemetery. The remains of 24,917 unidentified German soldiers are interred in a mass grave near the entrance - the Kameraden Grab – a 'Comrades Grave'. The total number of soldiers buried or commemorated in Langemark stands at just over 44,000. 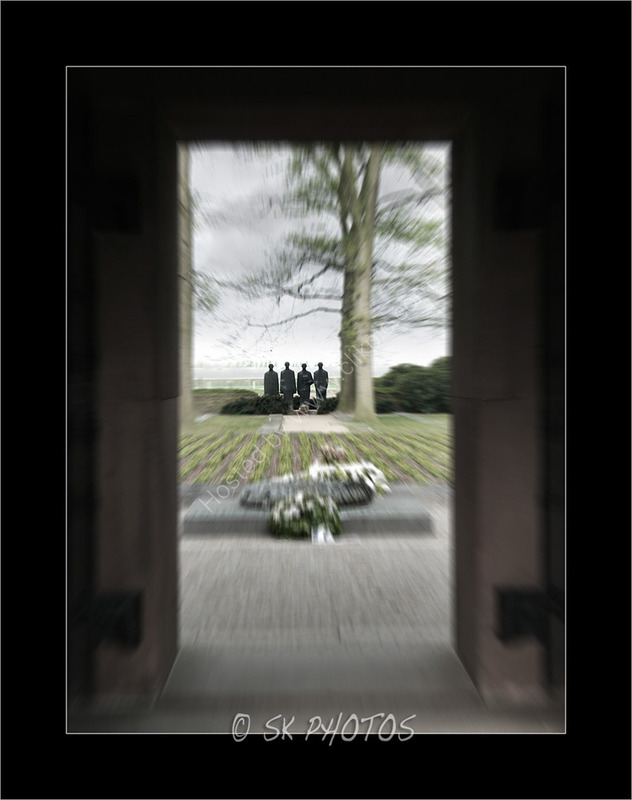 At the rear of the cemetery is an impressive sculpture of four mourning figures by Professor Emil Krieger, inspired by a photograph taken of soldiers from the Reserve Infantry Regiment, mourning at the grave of a comrade. It is said to stand guard over The Fallen.